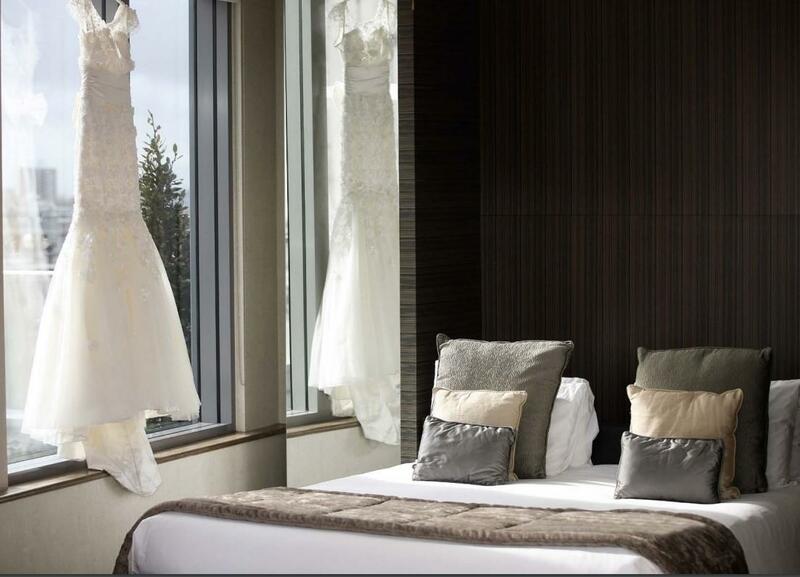 Located on the 7th Floor, the Royal Suite is a luxurious penthouse-level suite that has a capacity of up to 80. 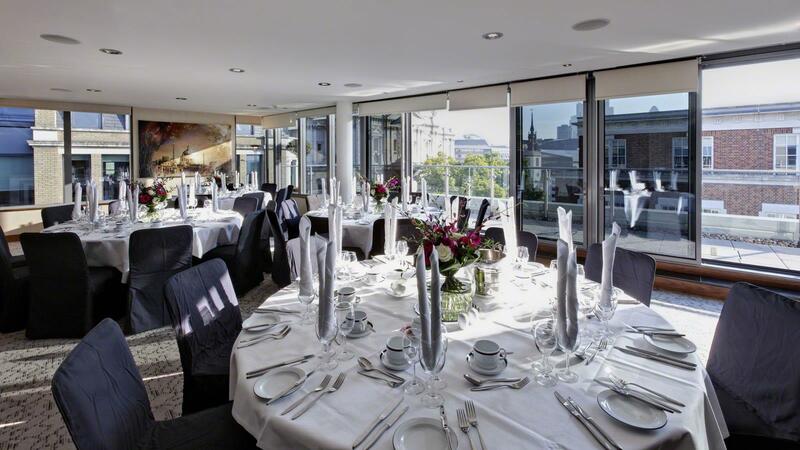 With a beautifully appointed interior and personal balcony overlooking St Paul’s Cathedral, it is a striking venue that is perfect for drinks receptions or private entertainment. The spacious lounge area is fully air-conditioned, and features an impressively sized 106-inch HD plasma screen with DVD player that can be used to display images, slides or film footage in crisp detail. Lighting may also be adjusted to suit the mood of the event. Other in-room facilities include a concealed bar and kitchen area, which can be used to provide drinks or catering as required. 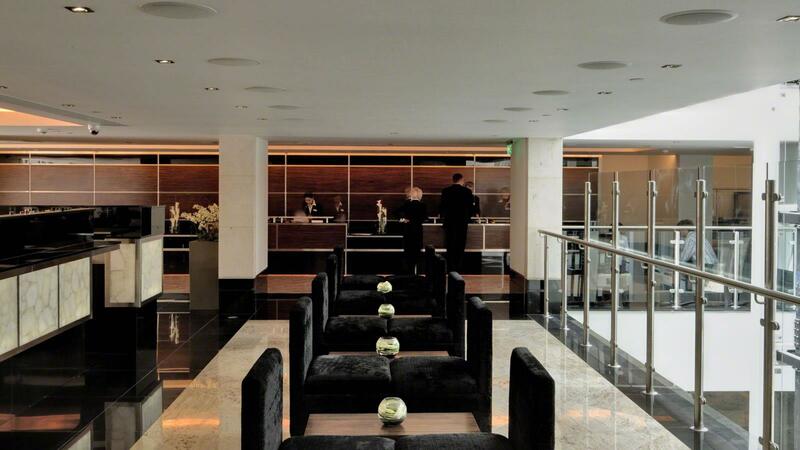 The Royal Suite may be used as a stand-alone space, or hired together with the adjoining Sky Bar and roof terrace. 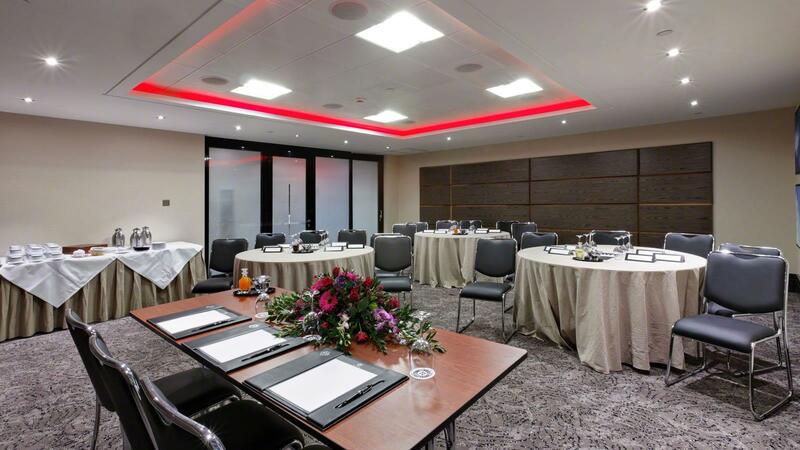 Located on Lower Ground Floor 1, the Churchill Suite is a versatile upper-level meeting room with a capacity of 100. 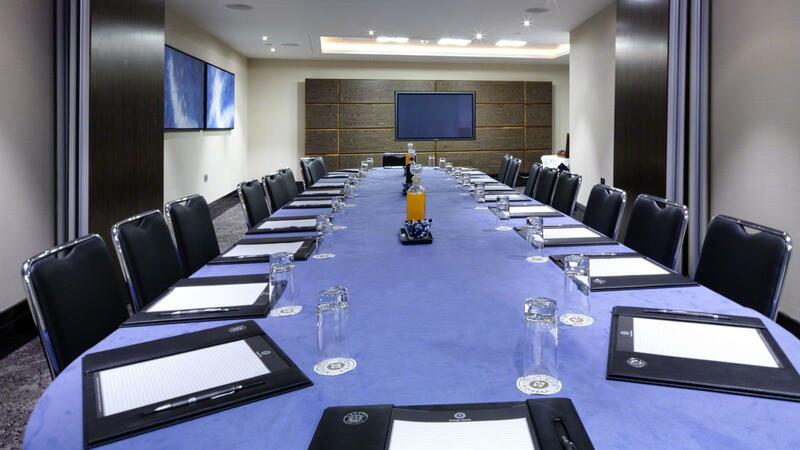 It is ideal for mid-sized board meetings and is stylishly accented with modern artwork and contemporary wood panelling. The Churchill Suite can be used as a single space, or split into the Cornwallis and Compton suites using optional wall partitions. Each room is fully air-conditioned and fitted with built-in HD plasma screen monitors and comfortable lights. The Johnson suite is located adjacent to Refreshment Area 1 on Lower Ground Floor 1. With a total capacity of 30, it is the perfect size for small dinners, training sessions or meetings. The Johnson is fully air-conditioned, conveniently fitted with a fixed HD plasma screen monitor and finished with contemporary wood panelling and modern artwork. Refreshments or tea and coffee can be provided outside in the airy upper-level Refreshment Area. 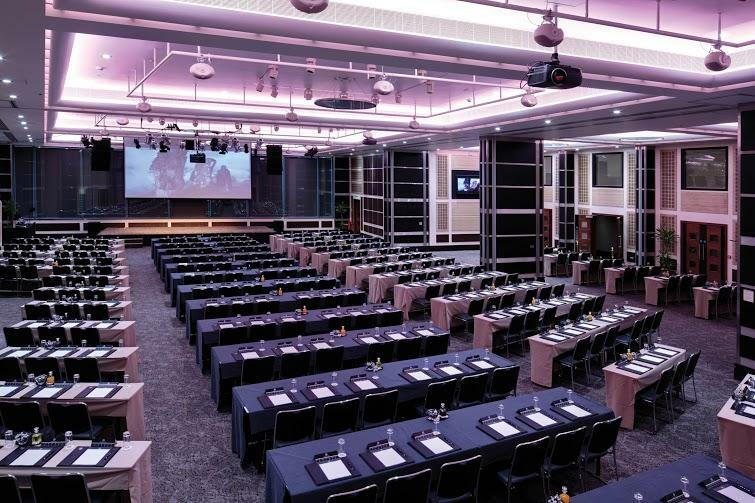 Located on Lower Ground Floor 1, the Milton suite is a flexible upper-level space made up of 3 interconnected meeting rooms. When used as a single space, the room has a capacity of 250 – perfect for mid-sized dinners or business conferences. Optional wall partitions enable the Milton to be split into the Lawrence, Fleming and Turner suites for smaller events. 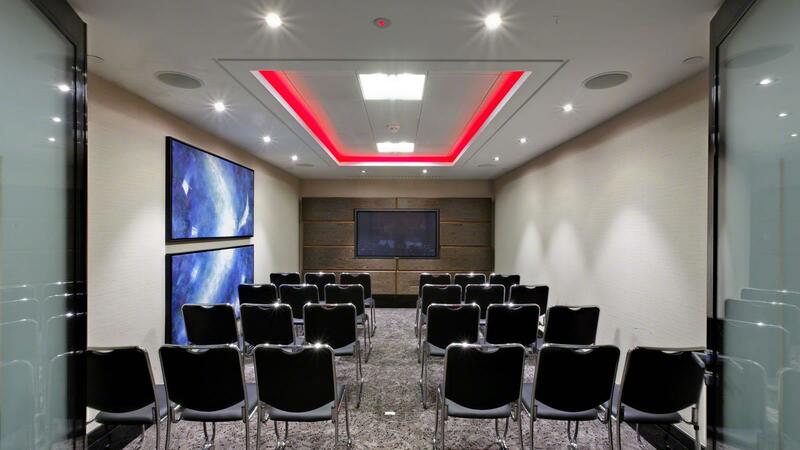 Each room is air-conditioned and fitted with built-in HD plasma screen monitors that can be used for projections or presentations. 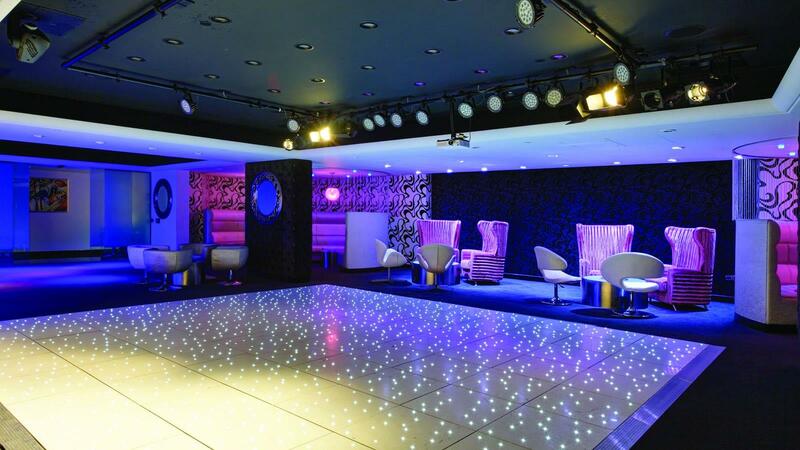 Ceilings are also fitted with ambient LED coffer lights. The Sky Bar is an exclusive penthouse-level bar with rooftop terrace and conservatory. 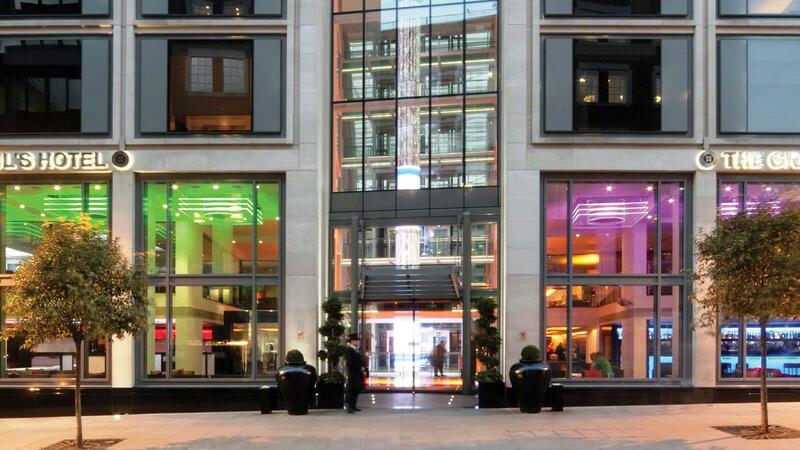 The bar and conservatory area have a combined capacity of 200, making it a dazzling setting for drinks receptions, product launches or summer events. Offering beautiful unobstructed views over St. Paul’s Cathedral, the conservatory has comfortable sofa seating and a roof that can be retracted in good weather. Tables and parasols can be set up on the roof terrace if desired. The modern, all-glass bar area can accommodate additional tables and chairs, and serves a full range of beers, wines, spirits and bar food. Kitchen facilities and butler services are also available to provide catering if required. Audiovisual facilities include a portable PA system and fixed LED lights to give added ambience to evening events. 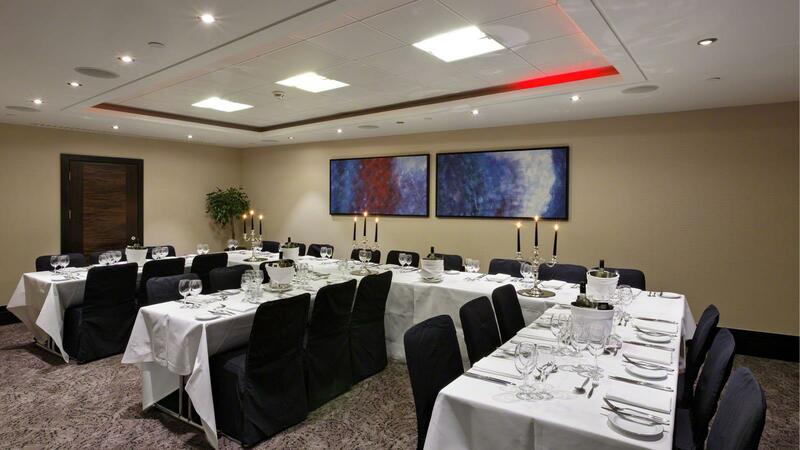 The Wren suite is a generously sized banqueting suite located on Lower Ground Floor 2. 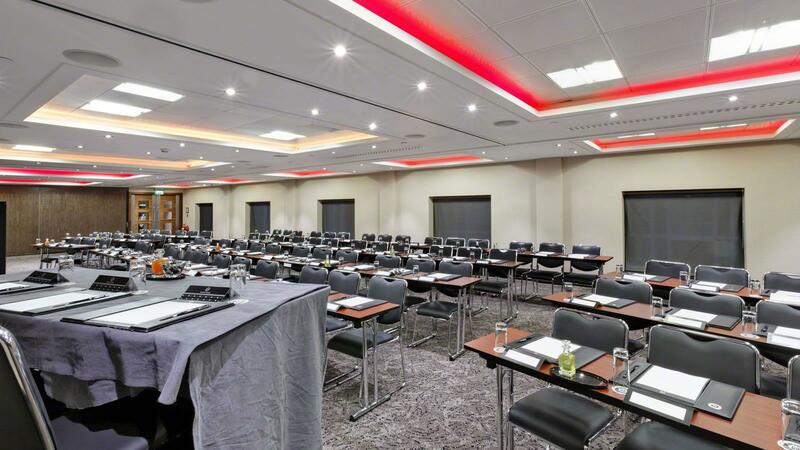 Fully air-conditioned, with high ceilings, the Wren is an impressive room that is ideal for large conferences or dinner dances. It can be used as a single space, or split into the Nelson and Dickens suites. The Wren can be used with the adjoining Shakespeare suite to give an increased capacity of 1,200 for very large events. A cloakroom can also be set up in the lower-level Exhibition Area. Appointed in a neutral colour scheme, the room is accented with modern wood panelling and fitted with pin-spot lights, which offer a dazzling array of lighting options to perfectly set the mood. Portable staging and an optional dance floor can also be arranged for dinner-dances. 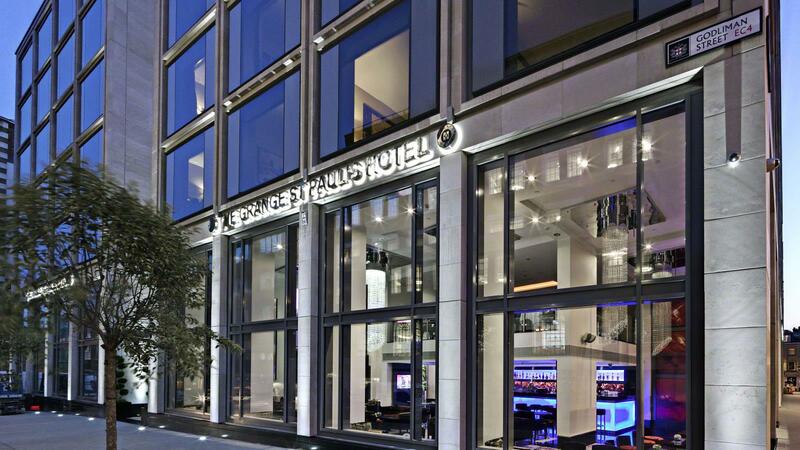 At Grange Hotels, we aim to make things easier for you with our London wedding package with a minimum of 70 guests. We promise a unique venue and to take care of all the little details, to make sure you enjoy the wedding of your dreams. The IT team and Meeting team was excellent and very attentive Monika and all of the staff were amazing! The business center was very small and not stocked as expected. I don't think the charges were worth it.